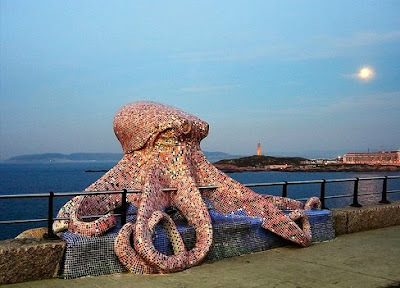 This is a beautiful mosaic sculpture on the bean in Spain. Photo by superkarmen who is a great photographer. An Octopus in the Living Room?! ?